Happy New Year's Eve from Sydney! 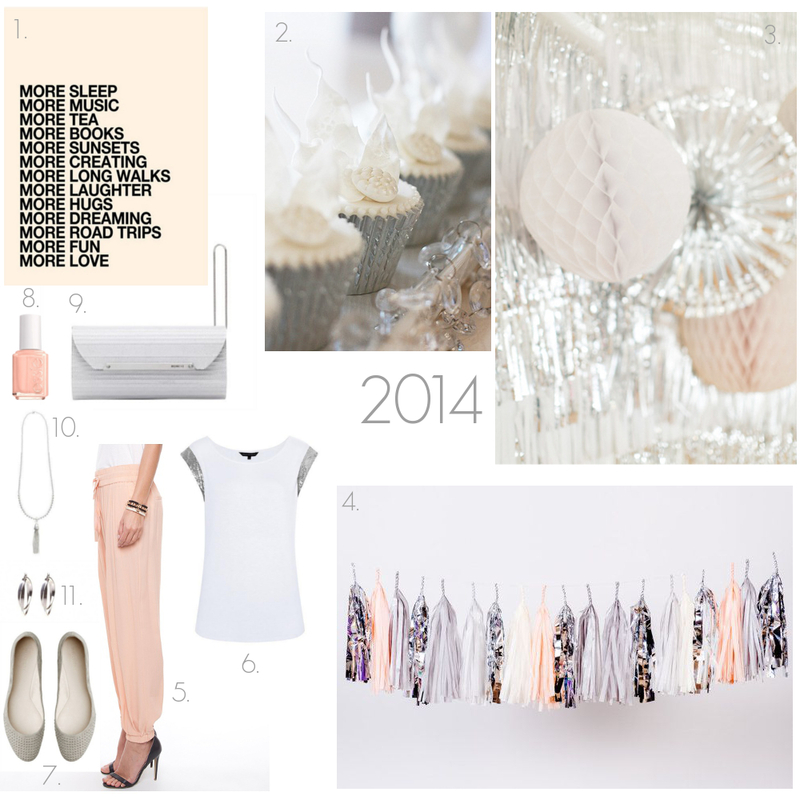 Here's my peach, silver and white themed inspiration board for this New Year's Eve. I'll be adding some more gorgeous photos on my Pinterest board, so please feel free to check that out too. Thank you for following and all the best for the new year 2014!